Helping to change the face of American leadership, one posse at a time. We design and build websites and digital experiences for nice people with interesting problems. 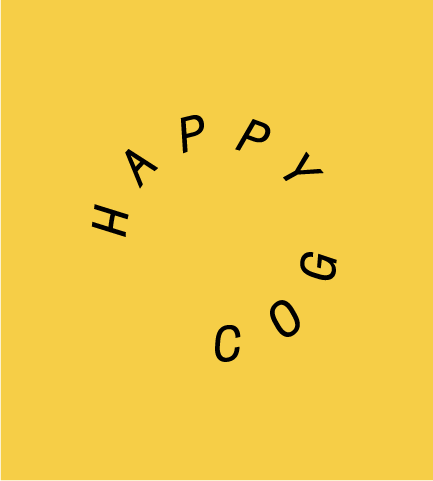 Happy Cog has been designing and building websites and digital experiences since the web began. As pioneers of the web standards that shaped modern web design, we help organizations around the globe with research-backed content strategy and information architecture, design, and web development. And our deep expertise with modern content management systems like Craft, Drupal, and WordPress ensure your content is delivered in full support of both your audience and content creator needs. The people who are a part of our still-unfolding legacy are some of the most influential minds in the industry. Put our experience to work for your next project. We invite you to learn about what we do, see what we’ve done, and get in touch.